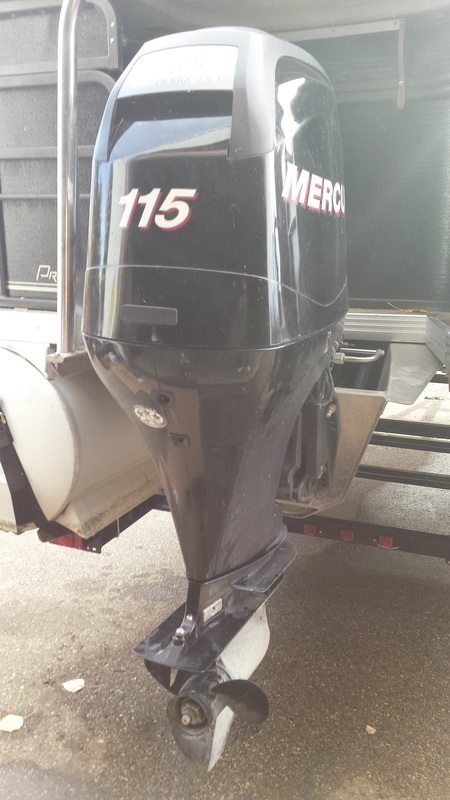 Like all equipment, If you want to enjoy your outboard trouble free for many years, it must be serviced and proper maintenance should be followed. 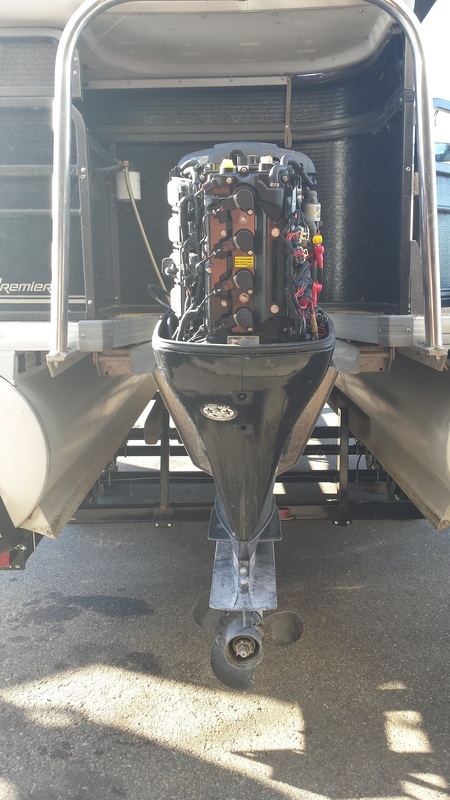 Always use quality parts and lubricants, marine engines work harder than any automotive engine and require premium lubricants to tolerate the severe operating conditions. We will be using Amsoil high performance lubricants for this service. It is important to run fresh clean fuel in all engines. 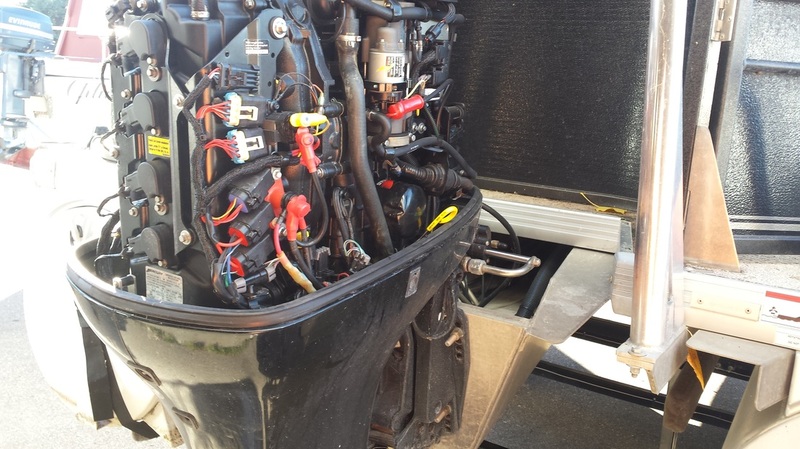 Marine engines can be very sensitive to ethanol, which is found in most fuels now. To fight ethanol problems a fuel additive should be used. 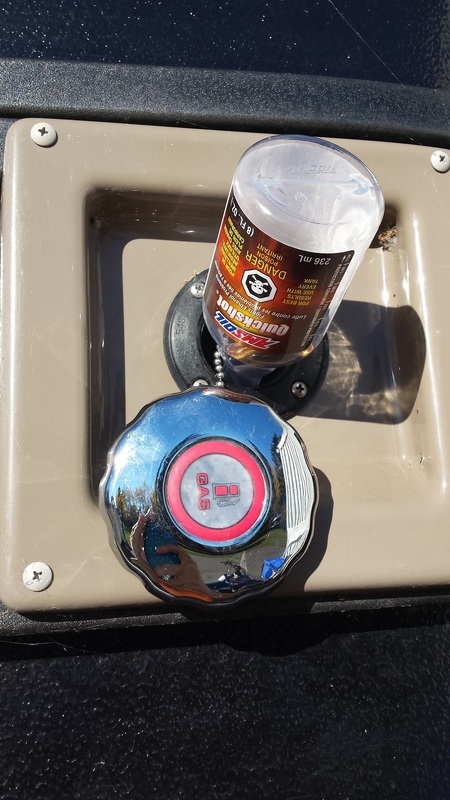 We use Amsoil quickshot. 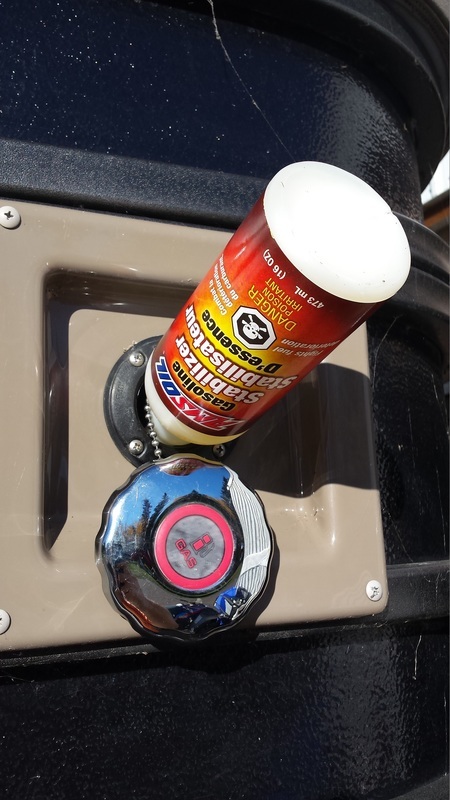 Quickshot not only fight ethanol problems, it is a complete fuel system cleaner. It will keep fuel injection, and carburetor systems clean and free of gums and sludge. If you will be storing your engine for an extended period a fuel stabilizer should also be used. Adding fuel conditioner should be done first to give it time to mix with the entire fuel tank before running the engine. 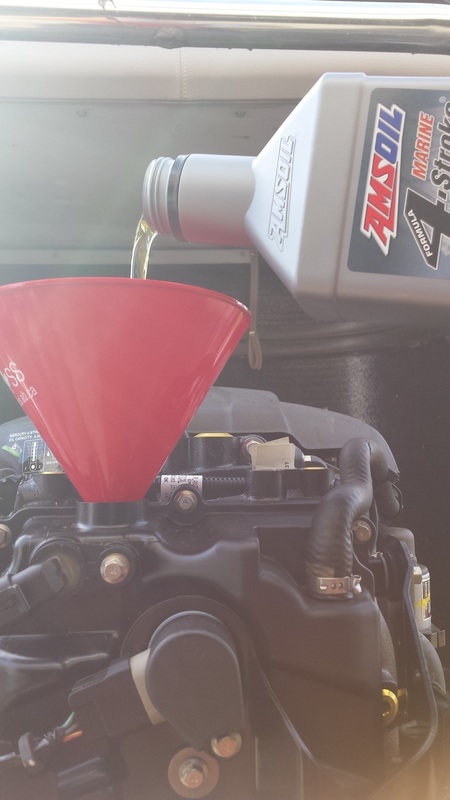 Quickshot keeps the fuel system clean and fights ethanol. Fuel Stabilizer keeps fuel fresh for extended periods. 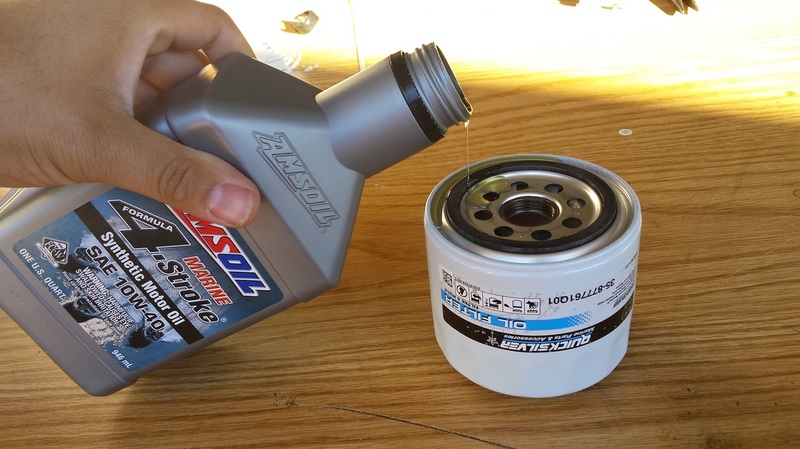 If you are winterizing your engine, add fuel stabilizer. 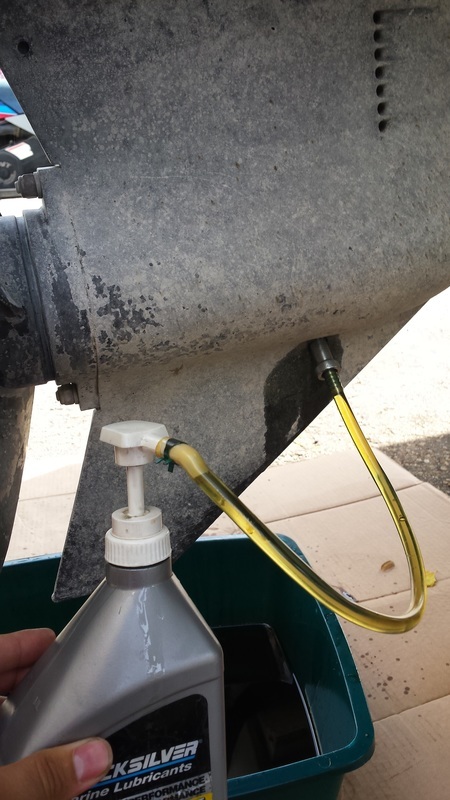 Allow some time for the fuel conditioner to mix with the tank, then run the engine to make sure treated fuel makes it all the way to the engine. Its very important the change the oil in the gear case every year, or more often under severe conditions. The gear case is always submerged in water during use so it is easy to get contaminated with water. Select a quality synthetic gear oil. Make sure that the oil is MARINE rated to help protect against rust and corrosion in the event that the oil becomes contaminated with water. 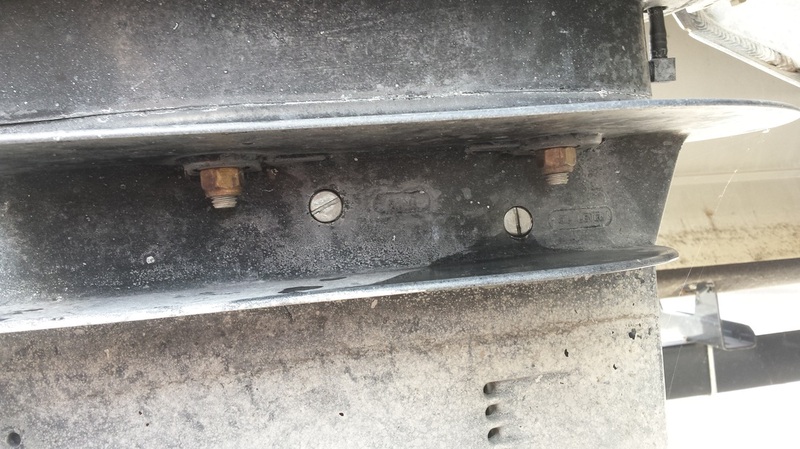 The one on the very bottom is the drain plug. 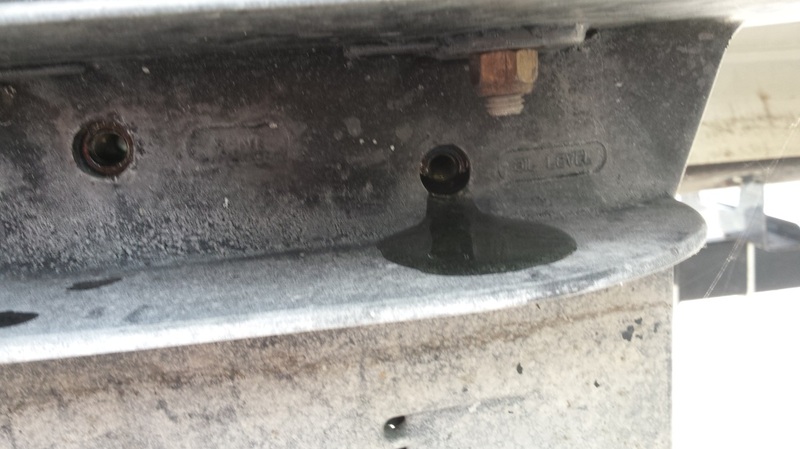 Once you have your oil pan ready, remove the DRAIN plug. 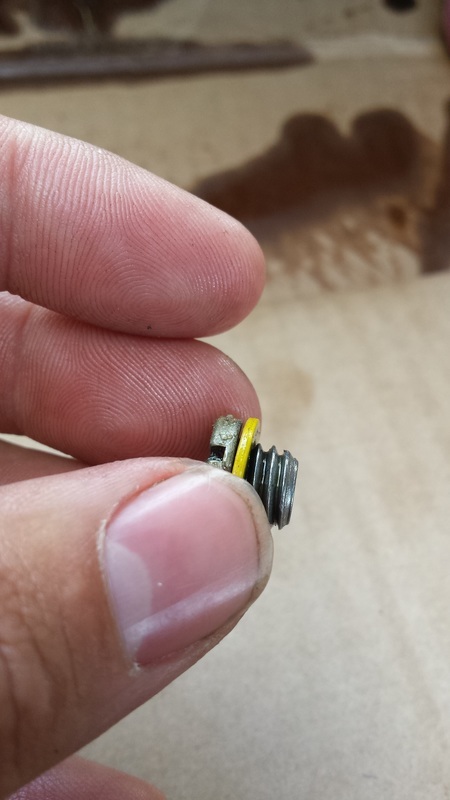 As soon as the drain plug is removed you will have a slow trickle of oil coming out of the gear case. Next remove the VENT plug. at this point oil will come out a lot faster. Now remove the oil level plug. Allow your gear case to drain completely. It will take some time for the gear case to drain completely. Depending on the brand of your gear oil it may be golden, blue, or green. If it comes out grey or milky color it means water has contaminated the oil. ​While the oil is draining, Clean all of your plugs. 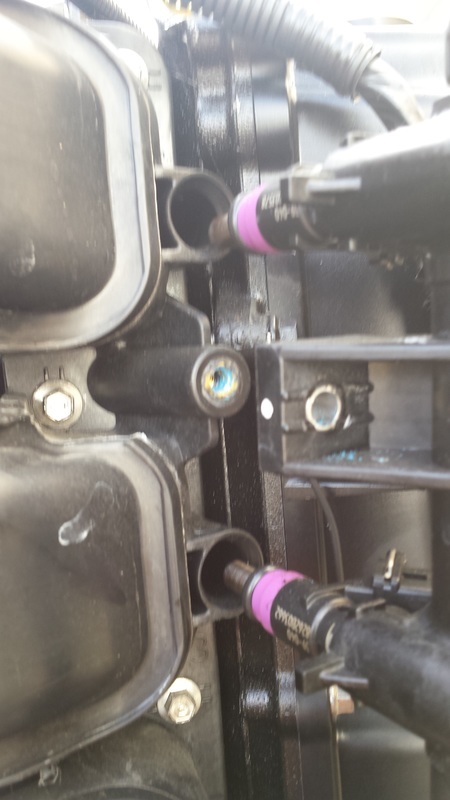 Make sure all of the seals are on the plug and not on the housing. Your hand pump should have a fitting at the end with the same threads as your gear case. Most engines are the same but a few brands are different. 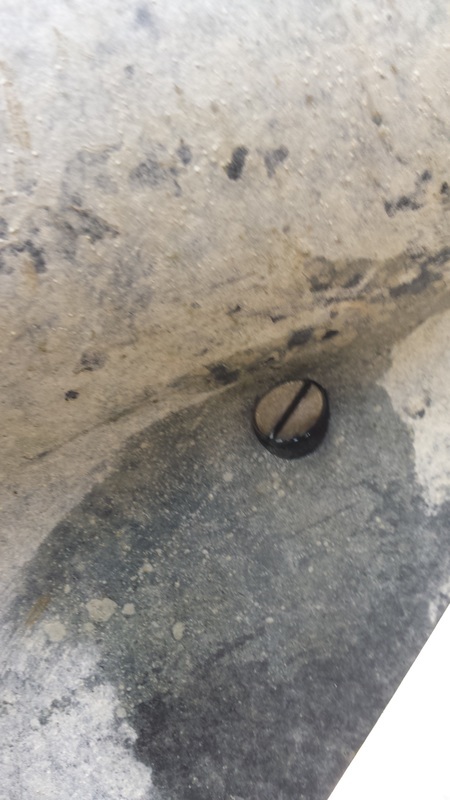 It should thread in easily and seal at the O ring without any tools to tighten it. 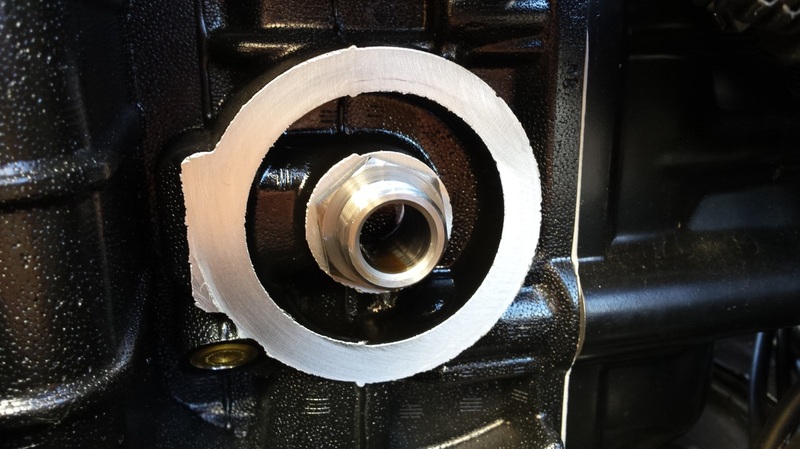 With both upper plugs still out, begin pumping oil into the gear case. 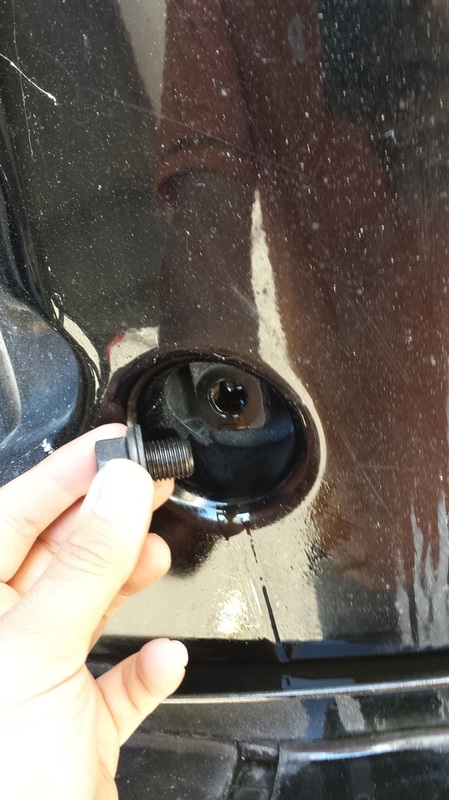 When it is full, oil will begin to come out of the "oil level" plug. Tighten both upper plugs. 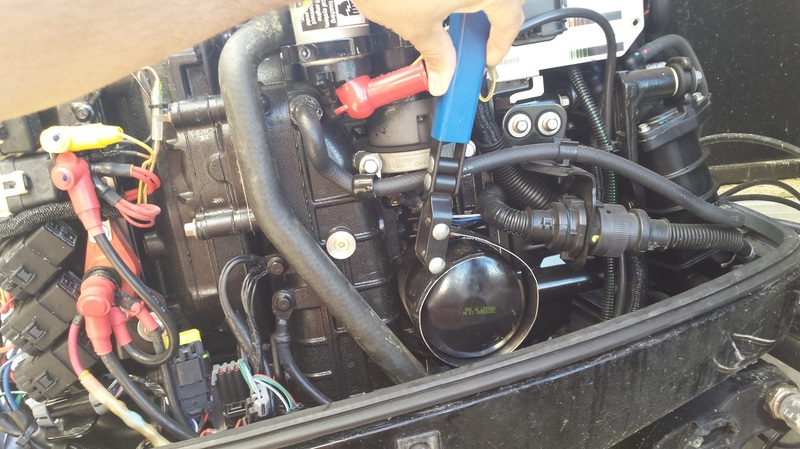 Quickly remove your pump and install the drain plug. Quickly remove the pump fitting and install the plug. You gotta be quick to minimize lost oil. The gear case is now full of fresh oil and is ready for service, or storage. 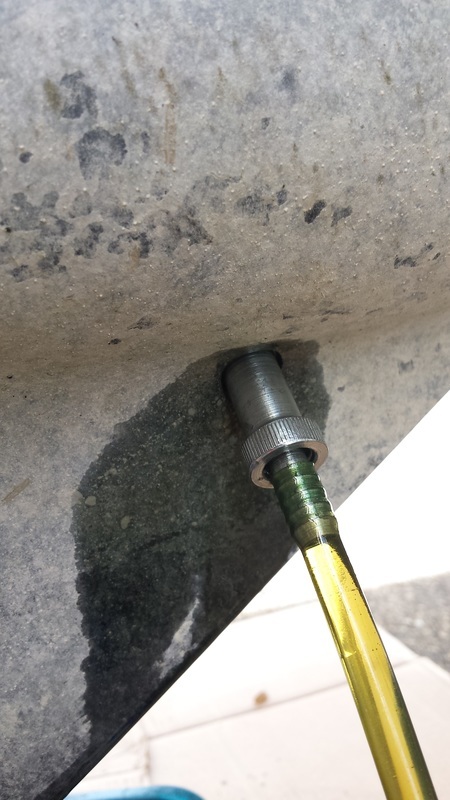 If the oil you drained out is contaminated with water, change the seals on all plugs. If the problem persists it may be time to change the prop-shaft seal. 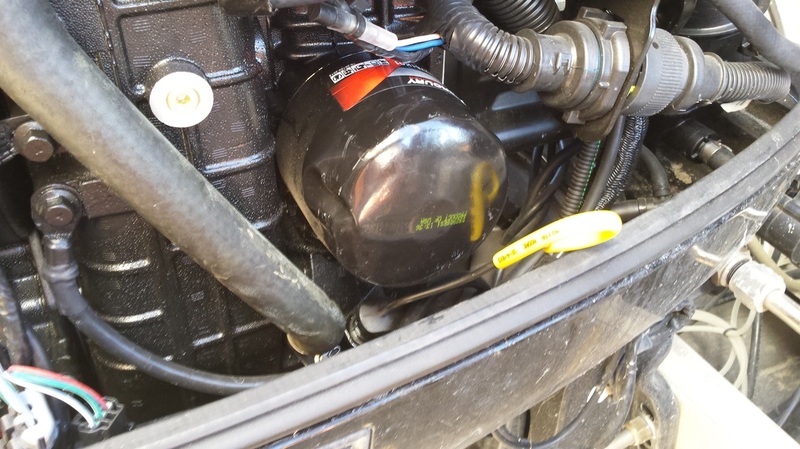 On a marine engine it is very important to use quality oil, and to check it / change it at regular intervals. Marine engines work harder, and under more severe operating conditions than an automotive engine. A marine lubricant will have more additives than a regular oil, and will also have detergents that reduce corrosion in the event that water contaminates the oil. First, located and remove the old oil filter. After you have loosened the filter slightly. 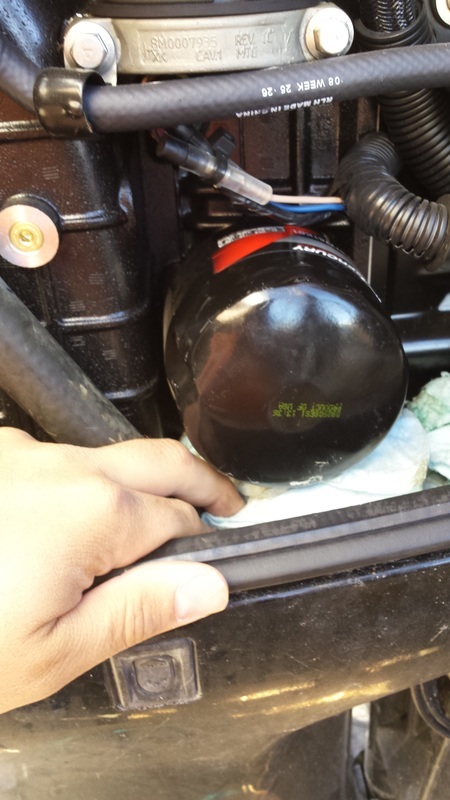 place a rag, or a piece of oil absorbing material underneath of the oil filter. 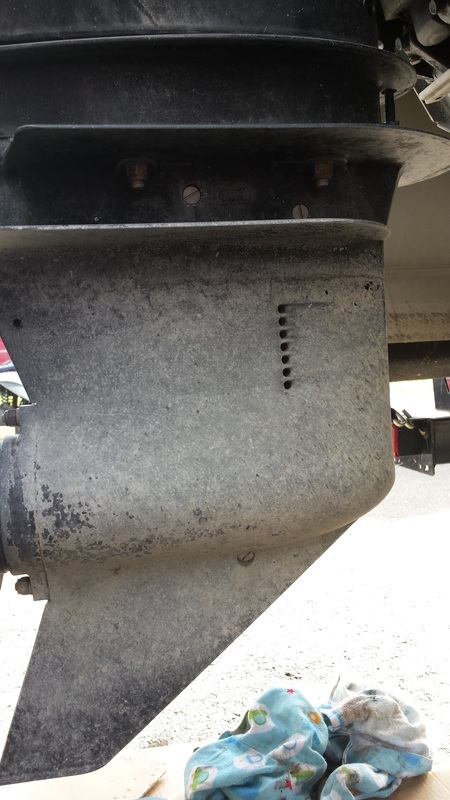 If the engine has been run recently it will be full of oil and will leak when you remove the filter, This reduces the mess left inside the engine compartment. 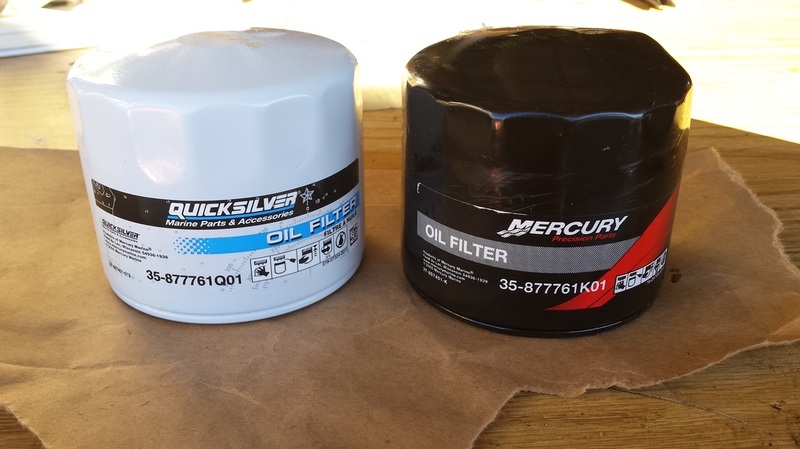 Time to select a new oil filter. 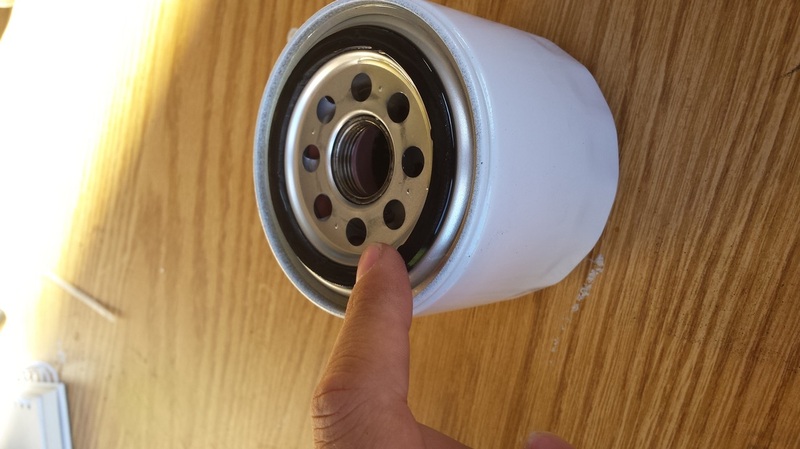 If you are not using an identical oil filter to the one you replaced, check the specifications. Make sure that the threads, and thread depths are the same as well as the sealing surfaces. You should also find out if the bypass pressures are the same, and if anti flow back valves are present. The filter that came off this engine was a Mercury 35-877761K01. 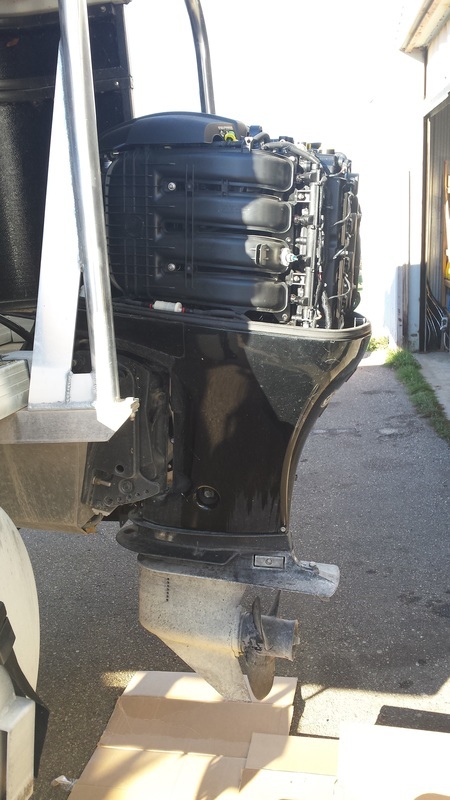 We will be replacing it with a QuickSilver 35-877761Q01. 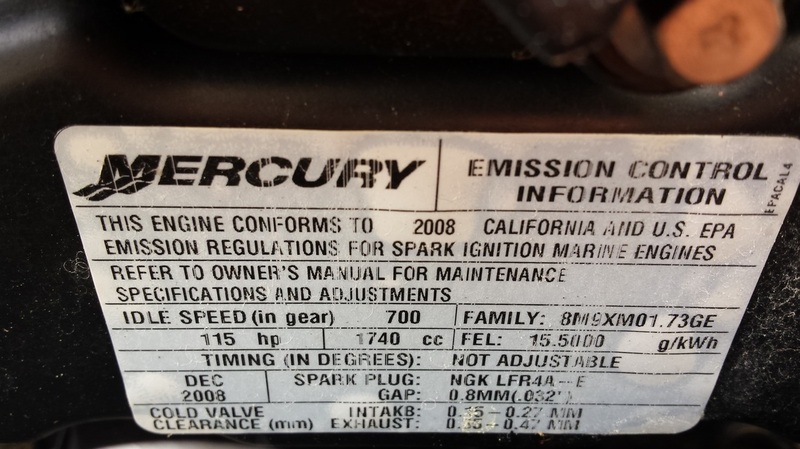 Note that the part numbers are identical with the exception of the K and the Q. QuickSilver makes a variety of marine parts and accessories and is a division of mercury. often QuickSilver parts are at a lower price. Now that a new oil filter is installed, lets move to the other side of the engine to drain the old oil out of the engine. 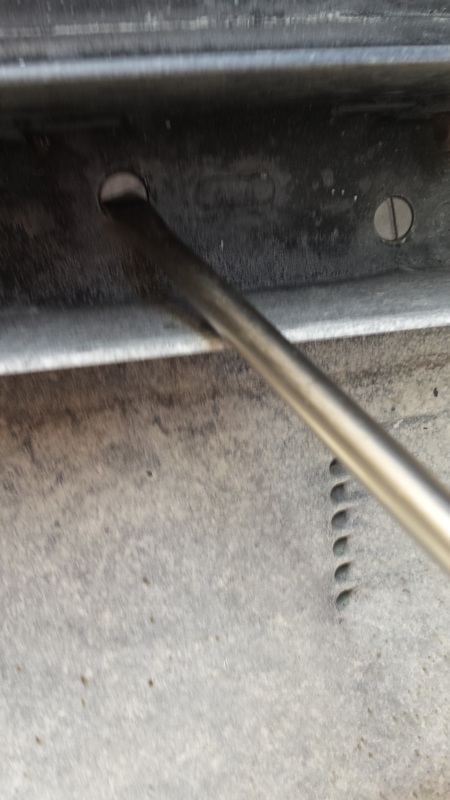 Once you have a oil pan ready, locate and remove the drain plug. Start by holding the pan to catch the oil, as the oil level drops you will need to adjust the pan location. 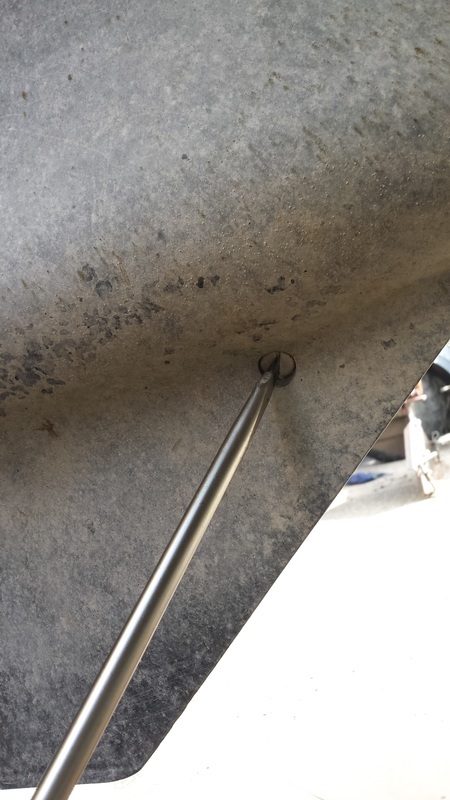 Before replacing the drain plug, make sure that all the threads are clean, and no debris is on the sealing surface to prevent leaks. Once everything is put back together locate the oil fill at the top of the engine and use a funnel to add oil. 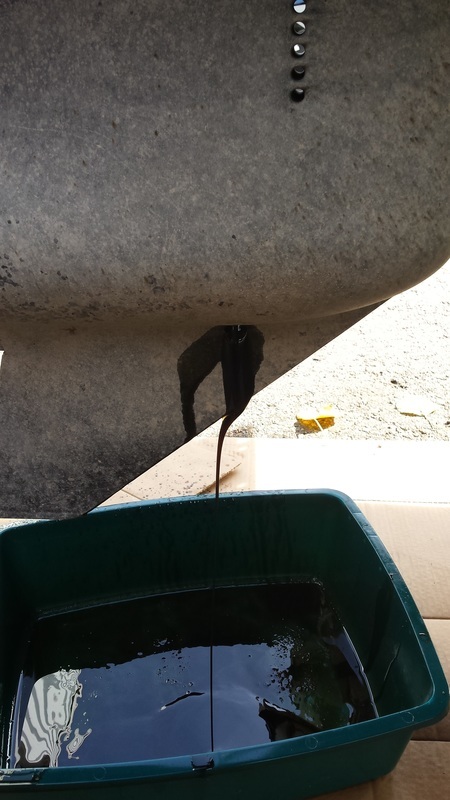 After pouring the first bottle or two, check for leaks at the drain plug. If everything looks good continue filling up the engine with the required quantity of oil. Now that the engine has fresh oil in it, the engine should be run to circulate the fresh oil, fill up the filter and make sure there are no leaks with the engine running. Its important to run the engine after servicing. 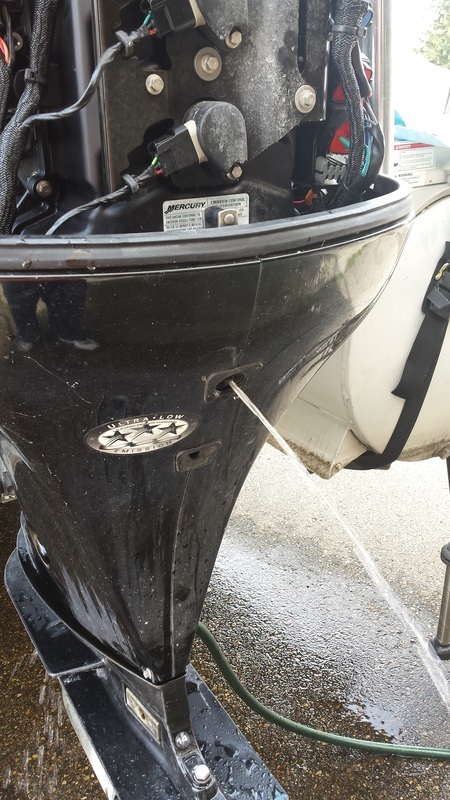 Anytime you run a marine engine you should have water for the cooling system. If they engine is run even for a short time (even 30 seconds) without water, the water pump and cooling system can be severely damaged. If the engine is run for an extended period of time without water, the engine can over heat and cause engine failure. 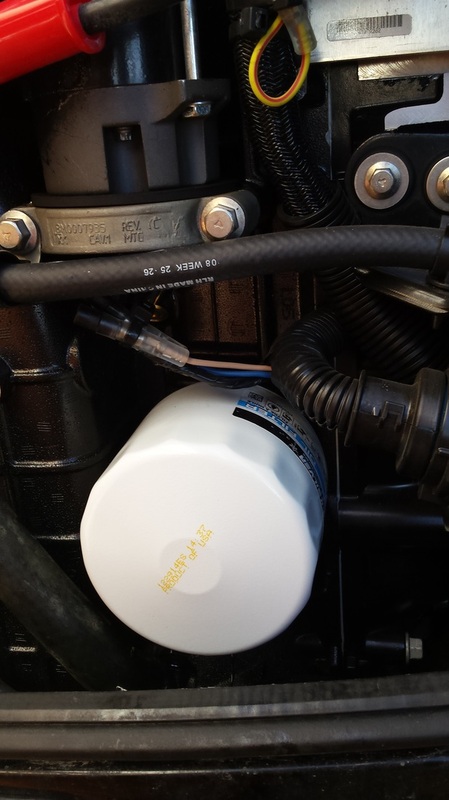 While the engine is running check for oil leaks near the oil filter, or drain plug. Run the engine for several minutes so that the fuel stabilizer you added to your tank can fill the lines and reach the tank. 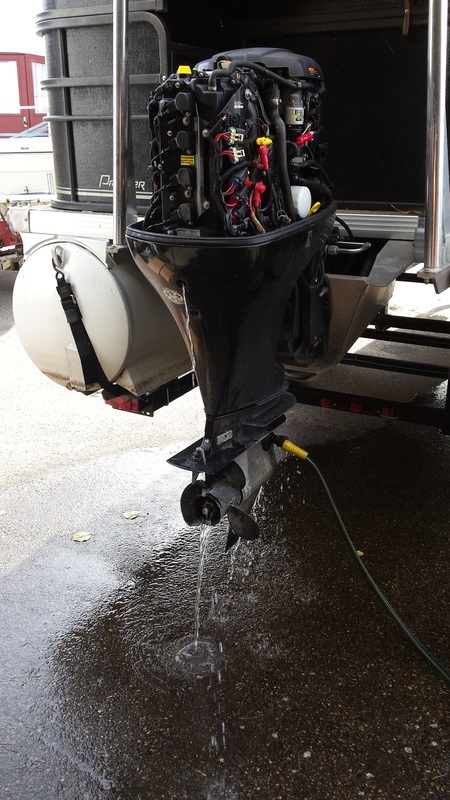 If you are planning on storing your boat for an extended period of time, fogging it may be a good idea. 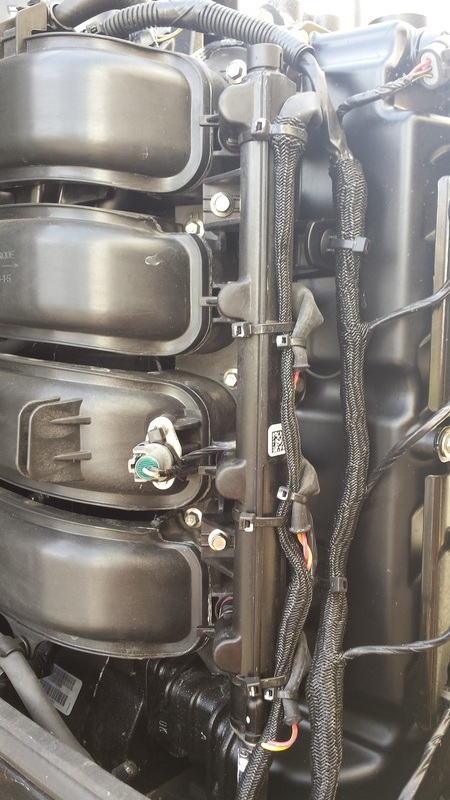 On this model it is not easy to spray engine fog directly into the intake so we spray it down the injector ports and the injectors are easy to remove. 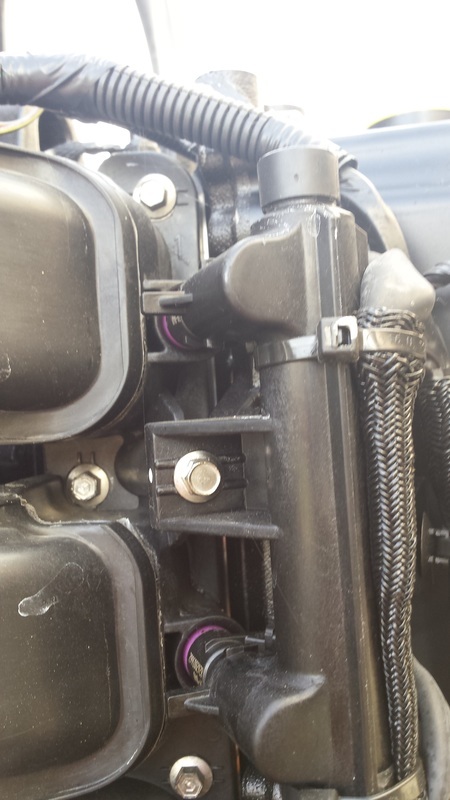 Locate the fuel injector rail. You can see it is mounted in place with 2 bolts. 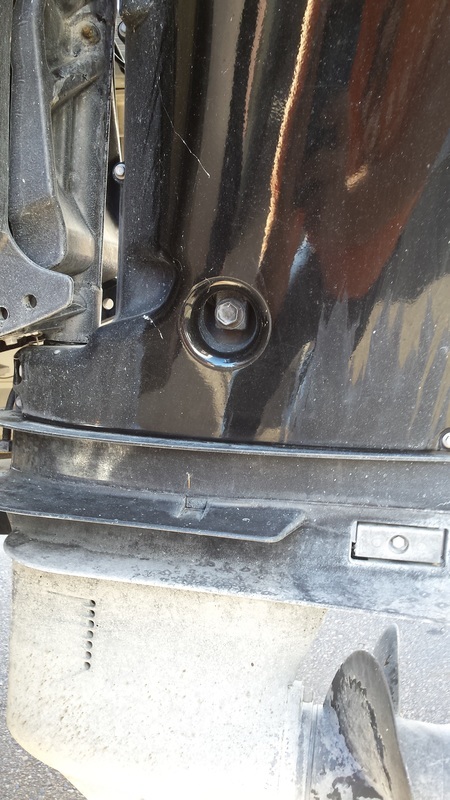 Remove these bolts to free the injector rail. All four injectors can be removed at once. After you have sprayed fogging lubricant inside the engine, reinstall the injectors and fasten them in place. 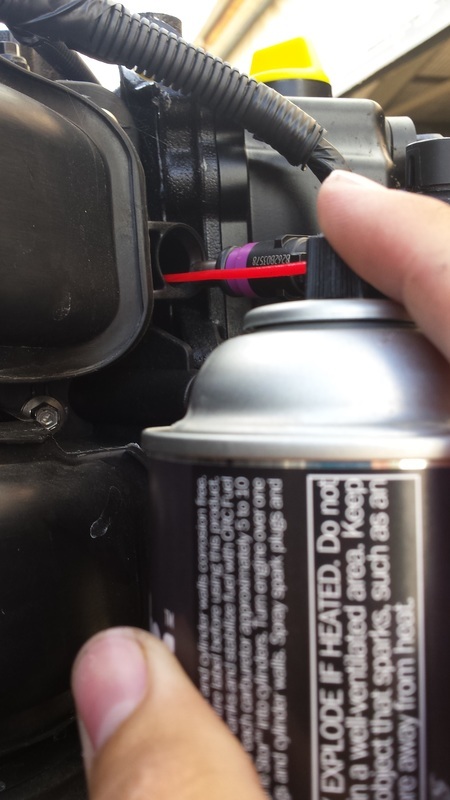 To spread the lubricant throughout the engine turn the engine over a few rotations with the kill switch OFF. 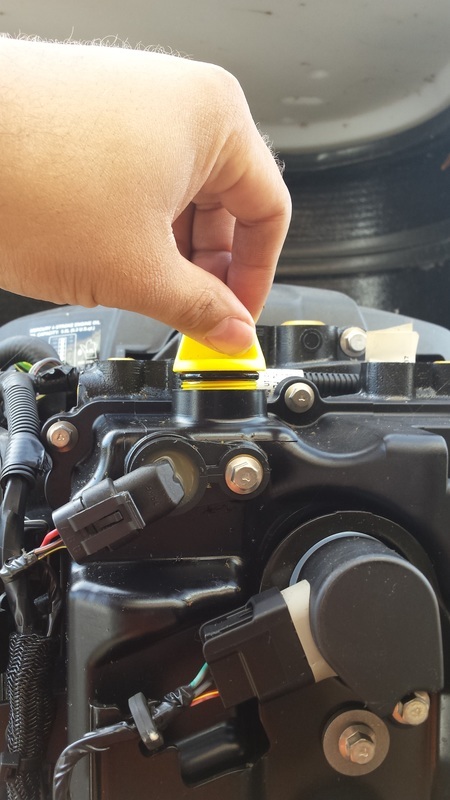 If the engine does not turn over with the kill switch off, allow the engine to fire only briefly (1 second or less) This will distribute the fogging lubricant. There are several reasons we use Amsoil products. Amsoil manufacturers very high quality lubricants and fuel additives. These performance products improve performance, reduce fuel consumption, and extend equipment life. Its worth the extra dollar per liter. 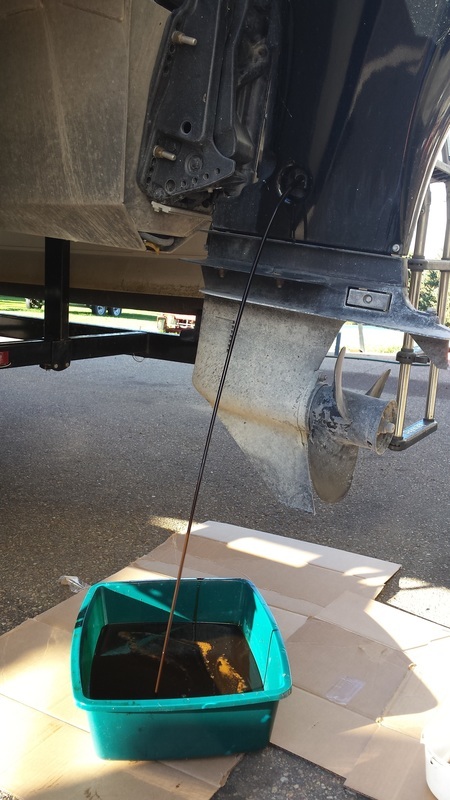 Amsoil products are also environmentally friendly for all applications including marine.